Pondering getting pet insurance for your furry friend but not too sure what it’s all about? Pet Insurance Australia takes a look at what pet insurance is, and why you need it. Pet Insurance has grown exponentially over the past 10 years. In fact; 20 years ago pet insurance wasn’t even in existence. So why in 2019 is pet insurance so important? Today, our pets have access to some of the most incredible veterinary services that are saving countless companion animals around the globe. Conditions that were once untreatable, and a certain death sentence, are now easily curable and treatable. Understandably this advancement in treatments has also seen a huge increase in veterinary costs and unlike the human medical world, the costs are not subsidised, leaving the total charge and the overall expense as the responsibility of the owner. With the rising rate of specialist treatments now available, it’s no wonder many seek out the help of pet insurance to help with the possible future costs of saving their beloved pet. Sadly, without pet insurance, some owners are faced with a life and death choice when it comes to the treatment of their furry family member. With some treatments costing in the high thousands, it makes sense to examine pet insurance costs for a pet at an early age to protect against possible high treatment charges later in life. Depending on your level of cover and chosen excess you can be reimbursed up to 80% of eligible vet bills. Most pet insurance companies will cover a range of accidental injuries and serious illness. Some pet insurance companies also offer annual discounts on preventative care cover that can be included as an add-on extra to your policy. For example; if you have a vet bill for a complex fracture costing around $12,000, you may receive a reimbursement of up to $9,600, depending on your level of cover, caps and excess. It is important to read your chosen pet insurance companies’ product disclosure statement (PDS) to get a clear understanding of what is considered and accident and an illness and to also understand what is not covered under the pet insurance policy. Normally this important document will be available online. If you are looking at pet insurance for an older dog or cat it’s important to understand that all symptoms or signs of an illness or injury that your pet had before you purchased pet insurance or during a policy’s waiting period will be considered pre-existing and will not be covered by your policy. For this reason, you may wish to insure your pet while they are young to minimise the number of illnesses or injuries, which could be considered pre-existing. Also research your excess choices, and caps on certain conditions. All pet insurance companies will differ in price and what they can offer their clients. The policy names will also differ, as too, the pet insurance cost. Accidental Injury Cover will reimburse up to 80% of eligible veterinary treatment related to an Accidental Injury, less your choice of excess per condition claimed. Accidental Injury PLUS Illness Cover will reimburse up to 80% of eligible veterinary treatment related to both Accidental Injuries and Illness conditions less your choice of excess per condition. Major Medical Pet Insurance Cover is designed for pet owners who want the cover provided by Accidental Injury and Illness Cover options alongside the added protection of Routine Care Cover. Routine Care Cover is included in the Major Medical cover and will assist towards specified preventative healthcare treatments such as vaccinations, worming and desexing. Routine Care Cover pays for treatment up to the specified limit for each covered benefit, and there is no excess applicable to this cover. What Pets Can Be Covered By Pet Insurance? Currently in Australia the main insurance providers only offer pet insurance for cats and dogs. However, there are insurance providers who can help with insurance for horses and even exotic pets. Like with all pet insurance companies it is vital to do your homework and ensure you read the fine print to understand exactly what you are covered for. The most important aspect when considering pet insurance for your dogis to examine the needs of your pet as well as the risk factors. Also research your chosen provider and ensure they meet the expectations of yourself and your pet. The breed of your pet may also come into consideration, as some breeds are more likely to develop certain serous illnesses later on in life. It’s also a good idea to look at the activity levels of your pet and the likelihood of an accident or injury. You may also consider having your pet insured from a young age to protect them against any possible high vet costs later in life. At Pet Insurance Australia, dogs can be insured for illness cover as long as they are eight weeks of age and under nine years. There is no upper age limit for accidental injury cover. 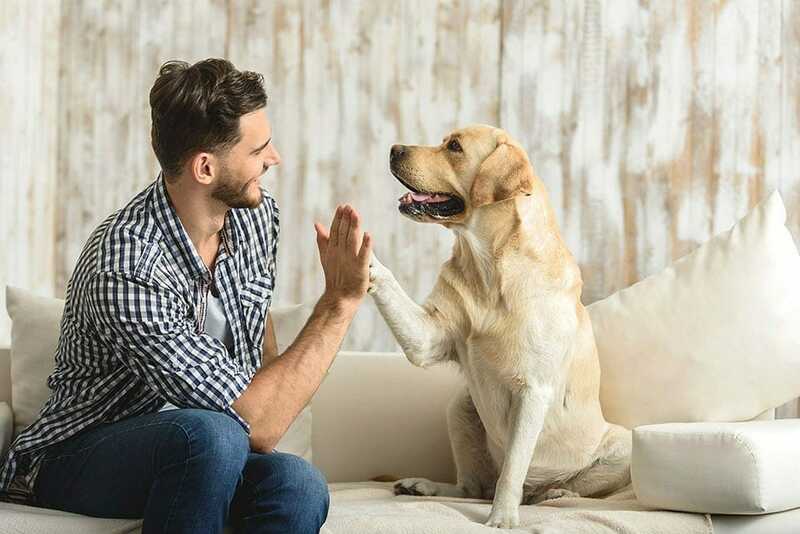 Dogs over the age of nine will have lifetime cover regardless of their age, as long as you continue to renew the policy, subject to the terms and conditions of the policy for each renewal period. However, older dogs (nine and over) that do not have an existing active pet insurance policy, can only apply for Accident Only cover. What is the Best Pet Insurance For Cats? When it comes to cat insurance it’s important to examine the level of cover you need. Some cats will be fine with just accident cover, while other breeds that are much more likely to develop hereditary specific diseases and would benefit from a more comprehensive approach. Like with dogs, feline vet bills can range from the tolerable to the extreme. Having adequate pet insurance for your cat can help prevent financial strain during a very stressful time. Again; you may consider insuring your cat from a young age to minimise any pre-existing problems that could prevent you from claiming.